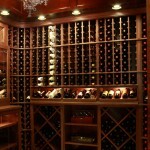 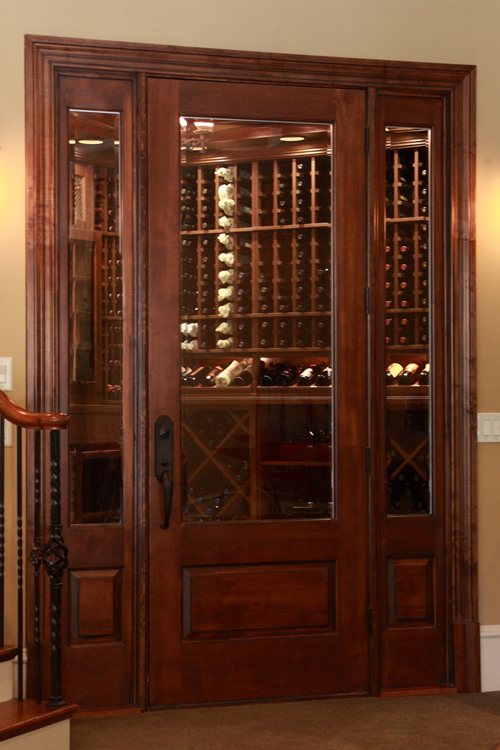 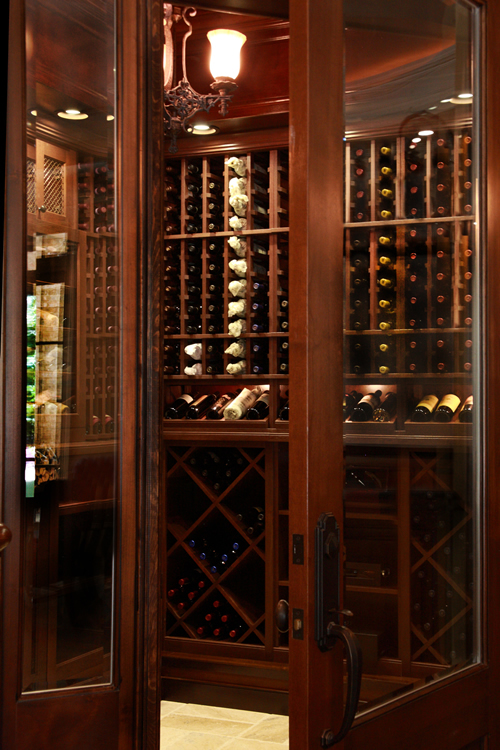 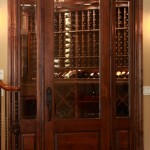 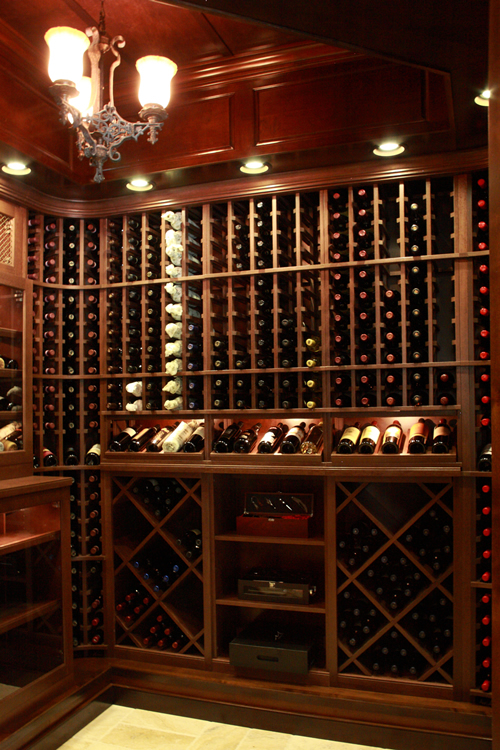 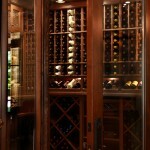 Duluth, GA – CellarMaker was asked to retrofit this existing cellar to allow for climate control. 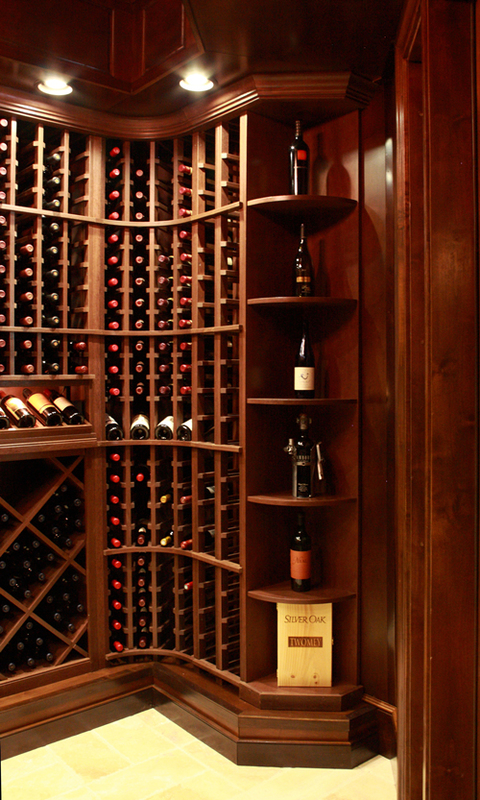 The cellar is lined with custom stained paneling. 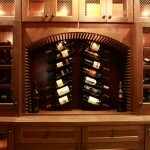 The soffit includes raised panels and custom wood supply grilles for the cooling system. 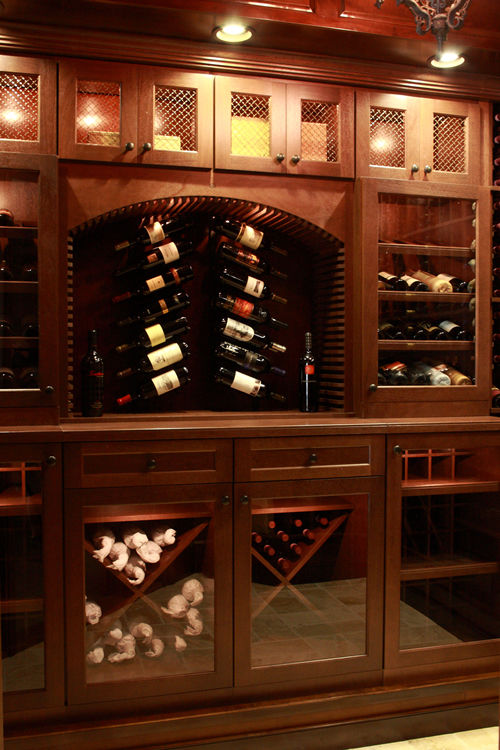 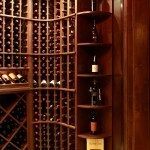 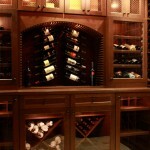 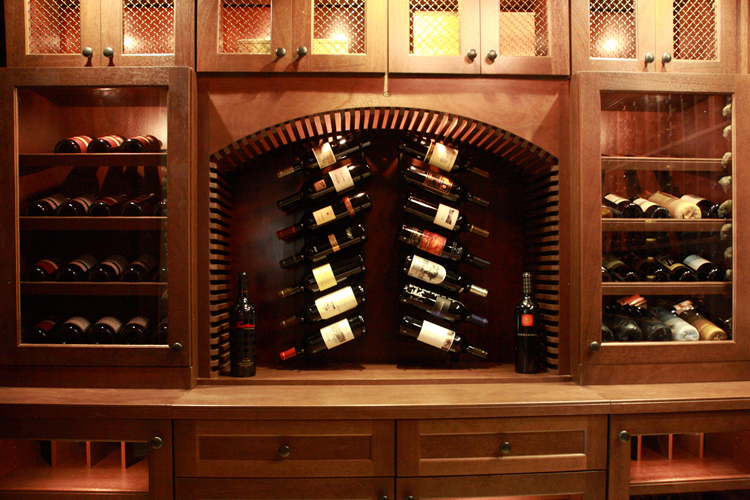 The wine racks are custom mahogany with stain and a clear coating.